We are pleased and very proud to serve the students of Shelby. 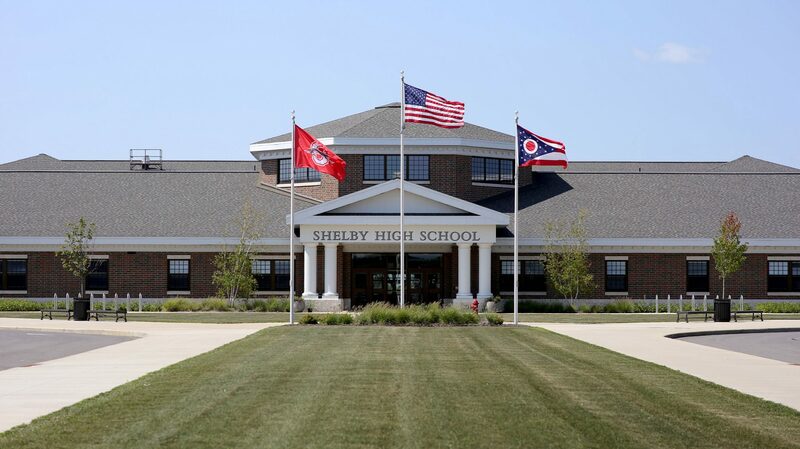 Shelby High School has an enrollment of approximately 640 students. We have approximately 525 in our high school building and another 115 students who attend Pioneer Career and Technology Center. The 2013-14 school year marked the first year in our brand new high school building, which has allowed us to focus more on the 21st Century skills that are necessary for students to be successful after high school. Shelby High School operates on a 4×4 block schedule. Each student has four classes every day that are 90 minutes in length and last for one semester. The block schedule allows our students to take more classes than a traditional schedule. For example, a student can graduate with seven math credits and seven science credits. We have also introduced a 1:1 laptop program at SHS. All students have access to a Google Chromebook as well as the Google Apps for Education. All staff members have a website that will contain all of their resources, videos, worksheets, etc. Parents also have an account to monitor their child’s grades on our on-line gradebook. Approximately 75% of our students attend a two or four year college after graduating from high school. We do have the luxury of having a branch of The Ohio State University and North Central State College nearby, which allows us to offer dual-credit courses in Anatomy and Physiology as well as Calculus I and II. We also offer Advanced Placement courses in English and Biology. We are very proud of our school, students, staff and community. Please feel free to contact our main office at 419-342-5065 if you have any questions.